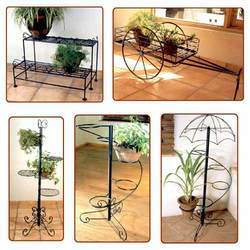 Offering you a complete choice of products which include wrought iron garden stand, wrought iron clothes stand, garden pot stand, 4 pot wall stand, wrought iron garden plant pot stands and spiral ring plant stand. Our range start from 1000 rs to 2500. 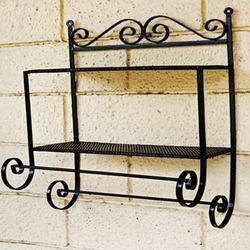 As an esteemed company, we are engaged in providing a wide array of Wrought Iron Garden Stand. This iron stand is made available in superb designs and our customers can also avail these from us in customized options. 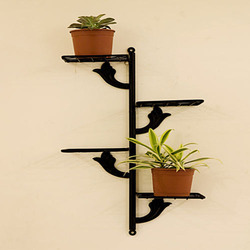 The offered iron stand is highly demanded and applauded in the market, attributable to their salient features. 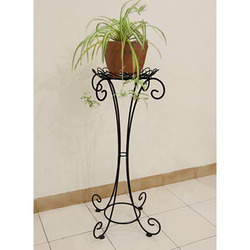 This iron stand is manufactured by our experts by using finest quality wrought iron. Starting range is 850/- Rs. By keeping the track of advanced market development, we are engaged in providing an exclusive range of Wrought Iron Clothes Stand. 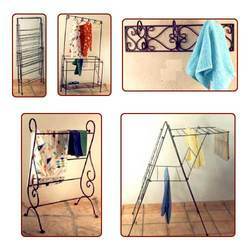 Use for drying clothes in sunlight, the complete range of cloth stand is designed by using finest grade wrought iron and ultra-modern technologies. This cloth stand is made available in different designs to suit variegated needs of customers. In order to fulfill the needs of our customers, the offered cloth stand can also be customized in different options. Starting from Rs. 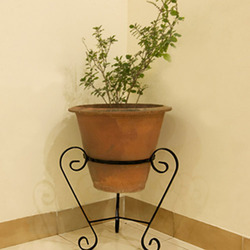 1000/- Owing to a modernized infrastructure for trouble-free processing & post-production, we are instrumental in offering quality assured Wrought Iron Garden Plant Pot Stands. 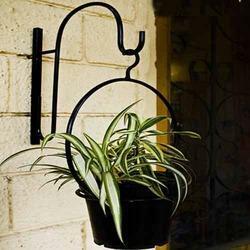 Used to keep flower pot in it, the offered plant pot stands are manufactured utilizing high grade wrought iron and modern tools as per the needs of our customers. 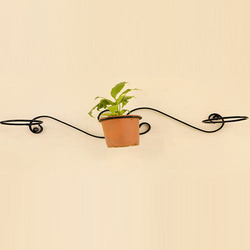 Along with that, the complete range of plant pot stands are strictly examine on different characteristics to assure that flawless range is delivered at clients' premises. Looking for Garden Pot Stands ?